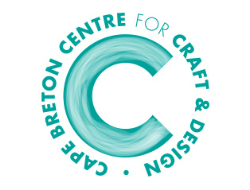 Cape Breton Centre for Craft and Design (CBCC&D), a not for profit organization, is an integral and leading force in the educational, promotional and economic development of the craft sector on the Island with a membership of over 250 individuals and organizations throughout Cape Breton Island. The mandate of Cape Breton Centre for Craft and Design is to promote excellence in the field of craft and design through education and training, exhibitions and special events. They are committed to developing programs that preserve, elevate, expand, and enhance the creation of craft. The Centre for Craft and Design serves the craft community of Cape Breton Island from beginners and recreational practitioners to highly accomplished professionals, offering instruction as well as resource and support services.